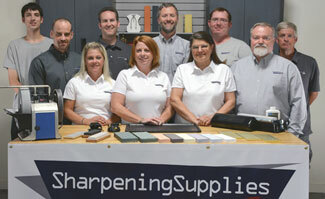 Suehiro's Cerax line of sharpening stones are a great value. They have gained a reputation for giving the kind of performance you would expect from a top shelf stone, but at a budget price. 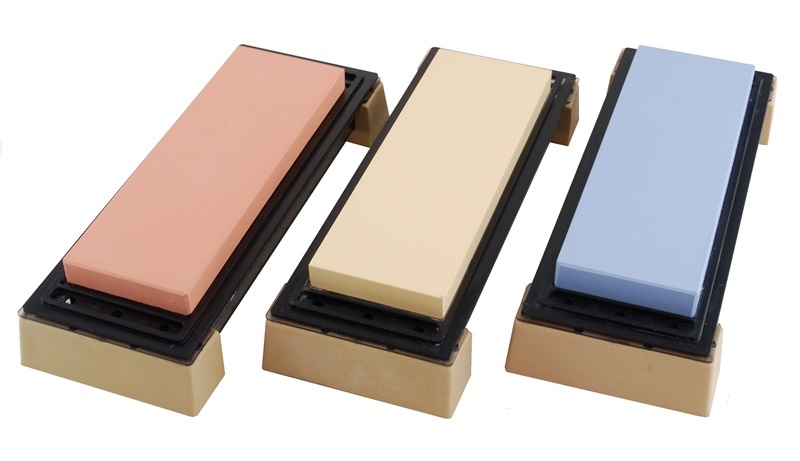 The Cerax Stones from Suehiro, sharpen fast and with great feedback. They have a just-right feeling when used. You can feel the grit working enough to get feedback, but not so much that it grabs at the blade. These stones hold their shape well and still cut quickly enough to create a burr in a reasonable number of strokes. The Cerax Stones do require soaking, however they're not extremely thirsty. A soak of several minutes and they're ready to go. An occasional splash of water during use keeps them working smoothly. They should not be stored in water. Each Cerax Double Sided Stone is mounted to a plate which is designed to fit into the Base Unit. The Base Unit is an ingenious combination of working stone holder and storage case. The plate, which the stones are mounted to, fits snugly to the Base Unit. The Plate can be flipped so that either stone is facing up for working while the other is safely tucked away in the Base Unit. This sturdy working stone holder raises the stone's face over 1-3/4" above the surrounding surface, and its large feet hold it firmly in place. When not in use, the cover fits over the top for safe, convenient storage. The Cerax Double Sided Stones have a sharpening surface of 183mm x 63 mm, approximately 7 1/4" x 2 1/2". The overall thickness including the mounting plate is about 30mm, with each grit having a thickness of about 12mm, about 1/2".